Although electric stimulation is used commonly in physical therapy to constrict muscles and reduce pain, the inclusion of acupuncture needles allows the stimulation to penetrate deeper than if delivered through a superficial patch on the skin. Though the body has an amazing ability to heal itself, pain often triggers a negative cycle within the body when muscles constrict, restricting blood flow. The key to acupuncture is its ability to reach deep into tissue, increase circulation and get to the source of the problem. 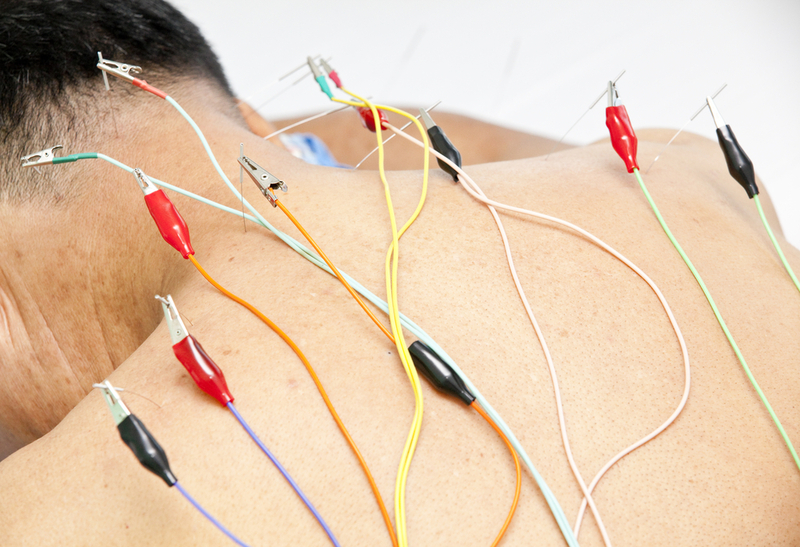 The use of electric stimulation with acupuncture increases the intended effect. Although electric stimulation is used commonly in physical therapy to constrict muscles and reduce pain, the inclusion of acupuncture needles allows the stimulation to penetrate deeper than if delivered through a superficial patch on the skin. Used simultaneously they increase the likelihood of effective pain management and pain relief. Studies show that acupuncture causes a chemical reaction in the brain, affecting serotonin levels and causing the release of endorphins, the body's own natural painkiller. Acupuncture also triggers the body to rid itself of harmful toxins. Most patients have no side effects with acupuncture, however, one may experience lightheadedness, muscle soreness or various other detoxification symptoms. If these are experienced at all, they usually last only a brief time as the body adjusts.